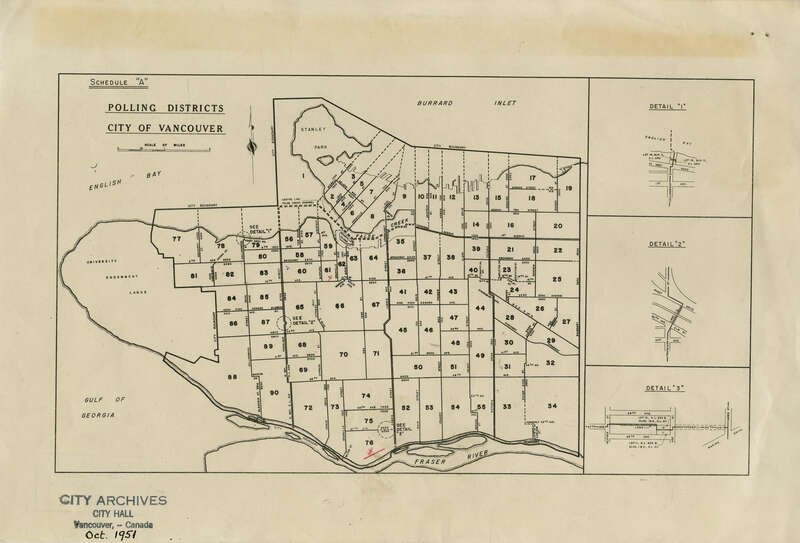 Item is a map showing polling districts in Vancouver. 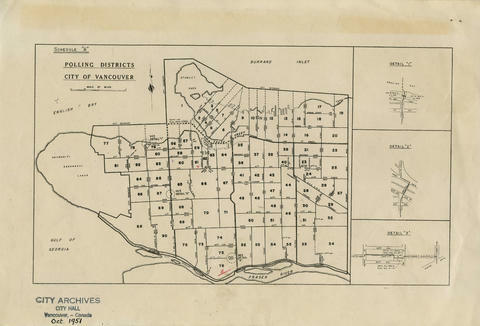 Three smaller maps show the areas around Point Grey Road and Collingwood Street, 30th Avenue and Trafalgar Street, and 66th Avenue and Ash Street in greater detail. Two districts are marked in red, but the meaning of these annotations is unknown.